Looks like we have some leaked specs for the upcoming Samsung Stratosphere 2 for Verizon, and it looks like a good value for your money in the upper-mid-range. The Stratosphere 2 is sleeker and thinner compared to the original Stratosphere as well. The screen size should be a bit larger, close to 4.3″, while the display resolution should be lower than HD, so somewhere around 480×800 or 540×960 pixels. Samsung is apparntly going to use the Super AMOLED Plus technology. Powering it all is a dual-core Snapdragon S4 chipset. The camera will be 8MP with support for 1080p video, while the front-facing camera will have 1.9 megapixels and will be capable of shooting 720p. 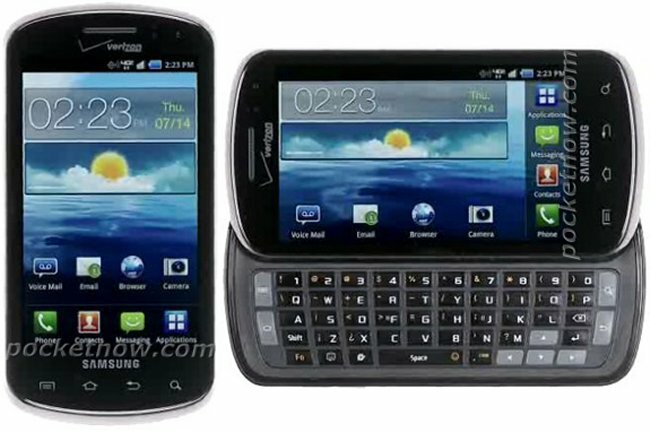 There’s also a side-sliding QWERTY keyboard and ice cream sandwich.